The Outlaws hosted the weekly time of prayer and fellowship last week for the church. We meet every Saturday night in a different home to pray together, worship and eat! - We were blessed to have another visitor from home this past week! It is so encouraging and exciting to introduce our family to our new home and life, and we were blessed in so many ways. We are also thankful that our visitor was able to bring the car parts needed to finally repair our truck! - We have completed all of the legal requirements to begin doing business in country and can now begin the process of becoming residents. - We are continuing to build relationships inside and outside of the church. We are thankful for every opportunity the Lord gives us! - Helen and Emily are hosting a fellowship for the women of the church next Thursday. 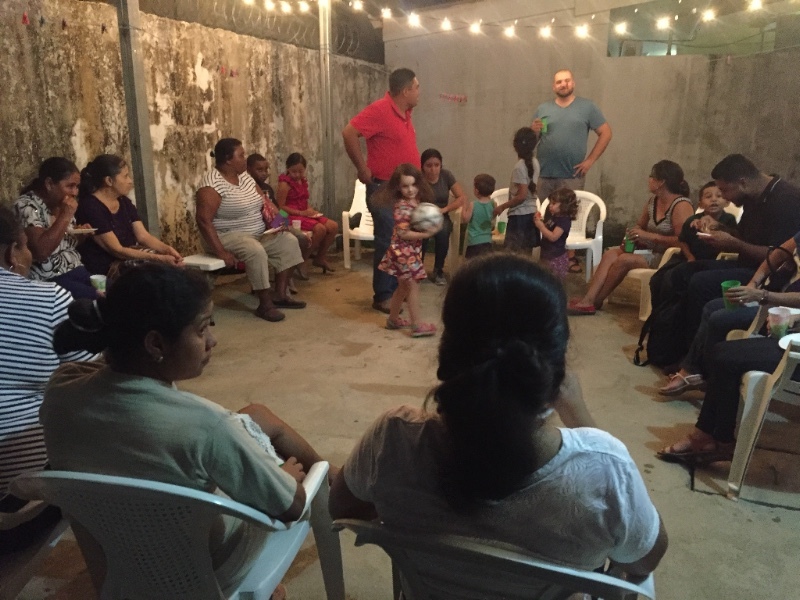 Please pray for relationships to be built and strengthened, for the women to be encouraged by the Word of the Lord and for Helen and Emily to be able to speak and understand Spanish. - We celebrated Eleanor as she turned 2 and Everett as he turned 3 last week. Please join us in praying over these two little members of our team. For Ellie- That the Lord would teach her to know Him, love Him and follow His ways. For Everett- That he would love and desire the Lord. That he would long to hear and learn stores about the Lord, memorize Scripture and sing songs of worship. Pray the Lord would draw each of these young hearts to Himself and pray for wisdom as we shepherd and train them! - Please pray with us that we would be patient in a season of waiting in our ministry. Pray we would devote ourselves to prayer in this time and be sensitive to the leading of the Holy Spirit.